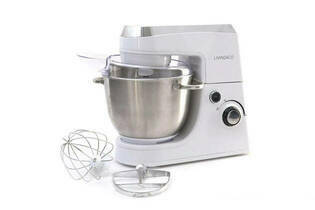 Snapshot: The Living and Co Bench Mixer LSM350W is an affordable option with a 4.2L bowl. How well does it beat, mix and knead? The bowl is light and easy to clean. Maximum operating time is five minutes. The pouring shield can dislodge when lifting motor head to scrape down bowl.